It's no secret that I love LUSH products, I think almost every woman on the planet does, however have you ever tried Bomb Cosmetics? 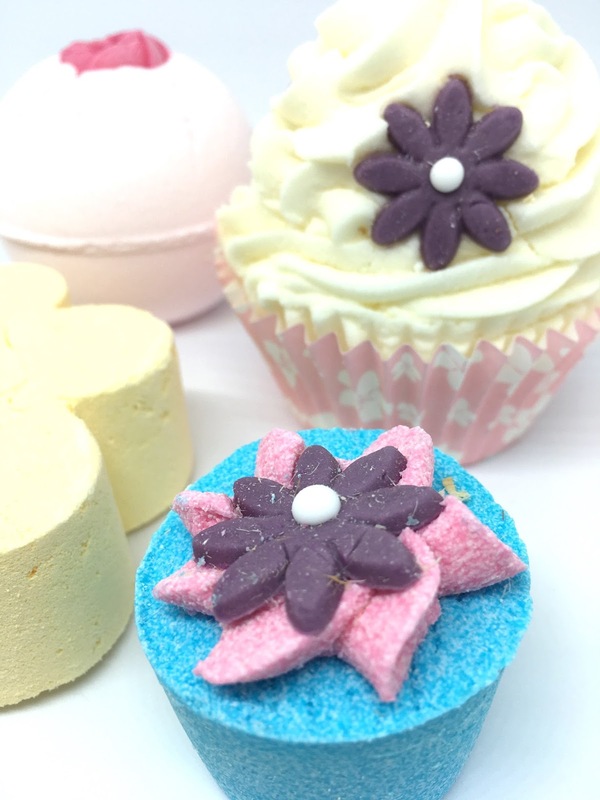 Just like LUSH they are 100% handmade bath and body products that smell good enough to eat! 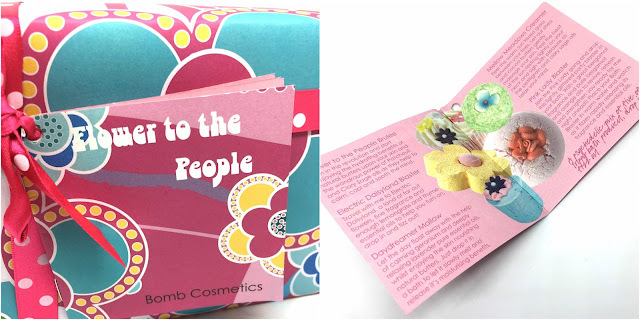 My other half bought me a fantastic gift set from Bomb Cosmetics for Christmas, I was very happy to receive this and test out some of the range. The Power of Essential Oils – These little gifts from Mother Nature are found in each and every one of our products and are extracted from plants, flowers and fruit. They have to power to soothe the soul and are choc full of magic to heighten, change or enhance your mood. Did you know your nose triggers your memories? These beauties are complimented by the finest fragrances and have the ability to unlock almost forgotten nostalgias and can trigger a blast from the past! Woah, right? We use natural ingredients wherever possible. That’s right, we are changing all our glitters to a bio-degradable version made from plants and we don’t use microbeads either. We believe that neither animals, humans or the environment should suffer for our luxuries. We pride ourselves on making products that not only smell and feel wonderful on your skin, but also look beautiful too and made completely by hand!" 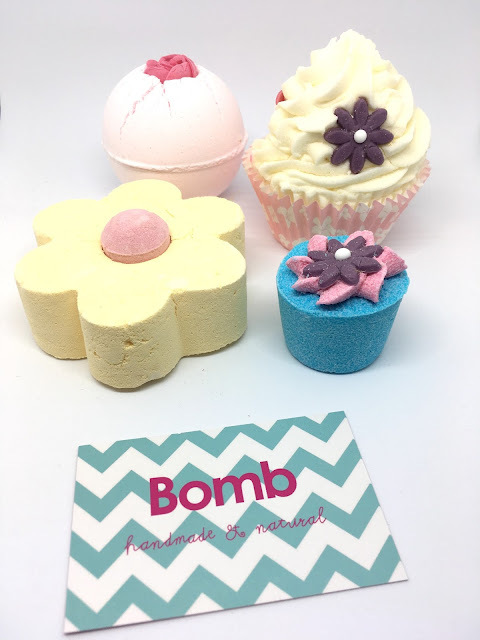 Bomb Cosmetics have their own website (HERE) which is crammed full of delicious handmade products such as bath bombs, soaps, home fragrances, candles and much, much more! 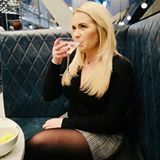 They are also readily available on other websites such as Amazon, John Lewis and even Tesco online however the best selection of their range is directly from their own website. 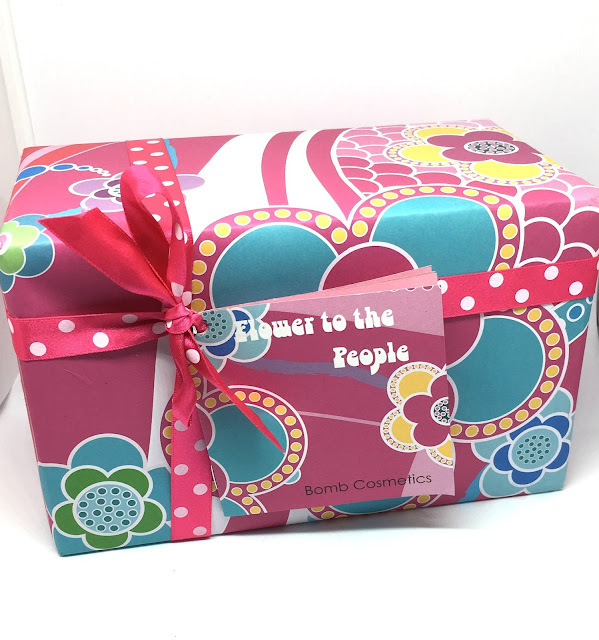 The gift box 'Flower To The People' is a perfect starter kit to test out some of the range and the price is extremely reasonable considering the prices of the products individually - RRP (approx) £15.00. I have used quite a few of them now and they are delicious (not literally so please don't eat them) but they make you skin silky smooth and smell divine! I am really happy with this gift set and Bomb Cosmetics have several to choose from on their website which would make perfect gifts for absolutely any time of year! That loks lovely - they're really pretty! I looked at some at Christmas and they were more expensive and less attractive - this is perfect for a birthday gift for one of my teenager's friends.